Some coworkers stink. For Amber Bridges of an Indianapolis Magistrate Court, this was quite literal. 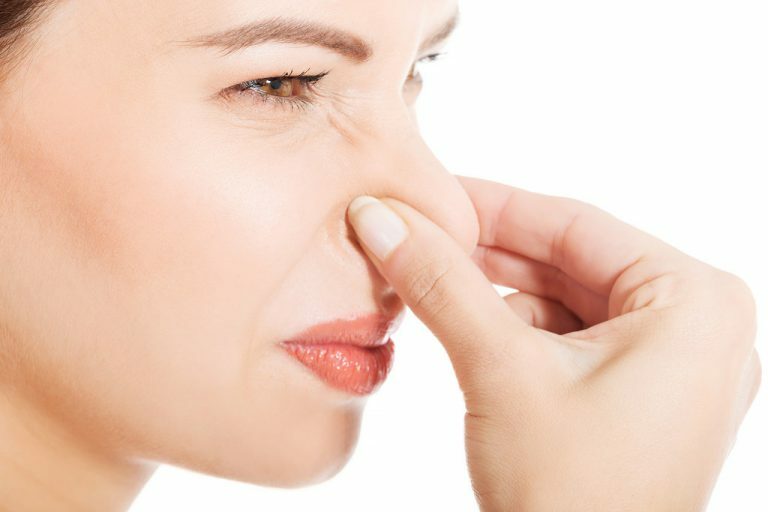 In November 2016, Amber Bridges and others began to complain about a coworker’s “chronic body odor.” Amber later brought in air fresheners to “improve the overall quality of air in the office.” Shortly after Bridges installed air fresheners, coworkers also began installing air fresheners around the office. The staff member with the body odor complained about Bridges in May 2017. Amber Bridges was terminated for creating a hostile work environment for the employee with the odor because of the air fresheners Bridges had installed around the office. The smelly coworker complained to human resources and Bridges was terminated for creating a hostile work environment against him. Bridges filed a federal lawsuit on December 21st, 2017, against her former employer at the Indianapolis Magistrate Court for violating the Americans with Disabilities Act. Bridges claims that her association with the smelly coworker protected her from termination. Bridges’ case has a few odd factors to it. First, it’s not clear that the coworker’s body odor was the result of a disability. Although body odor can be the product of a protected disability, it’s not clear that was the case here. The ADA defines a person with a disability as a person who has a physical or mental impairment that substantially limits one or more major life activity. Since the coworker was able to show up for work every day, his body odor arguably did not impair a major life activity, his ability to work. Of course, his coworkers, like Amber, might have complained, but it seems that his coworkers found a way to live with it. If the odor doesn’t qualify as a disability, Bridges’ case is sunk. Second, Bridges doesn’t claim to have a disability. Instead, Bridges alleges that she was terminated because she was associated with a disabled person. The ADA prohibits discrimination based on relationship or association with a disabled person. This rule is necessary, since employers should not be able to harass a disabled person by isolating a disabled person or retaliate against employees who defend the rights of a disabled coworker. However, Bridges’ claim flips the law on its head. Since it was the allegedly disabled worker who complained about her, she is the party who is allegedly discriminating against the disabled employee. Bridges’ association with the protectee of the ADA is not as a relative or supportive coworker. Bridges connection with the ADA is that she was supposedly the one doing the discriminating! If the intent behind the ADA is to prevent discrimination, Bridges’ claim would potentially pervert its role from protection of the persecuted to protection of the persecutor. Bridges was obviously not contemplated as a protected person when Congress wrote the ADA. Association with a disabled person cannot reasonably include the person that the disabled person was complaining about. I’m not advocating that Bridges was malicious or intentionally discriminating her smelly coworker. The employee with the smell might feel insulted by all the air fresheners, but there aren’t that many alternatives. If the smell is a result of a disability, the employer cannot legally fire the smelly employee. However, if the smell is bad enough that everyone else at the office thought an air freshener was a good idea, it might impair the Magistrate Court’s ability to function. Of course, Bridge’s decision to install the air fresheners clearly set an example that employees under her followed. The complaint is unclear, but it is possible that installing the air fresheners might have lead to more hostile attitudes or remarks toward the smelly coworker. That would almost certainly create a hostile work environment for the worker who had the odor issues. Firing Bridges might be legal, but the magistrate court would have been better off trying to negotiate a satisfactory agreement rather than firing anyone.